No morning shave today due to an untimely power cut. I could just about face a cold strip down wash at the sink, but I’m too much of a southern softy for a cold water shave. And as I have a very early start tomorrow I took the opportunity to have a rare evening shave. Very enjoyable it was too. Have a good evening gents. 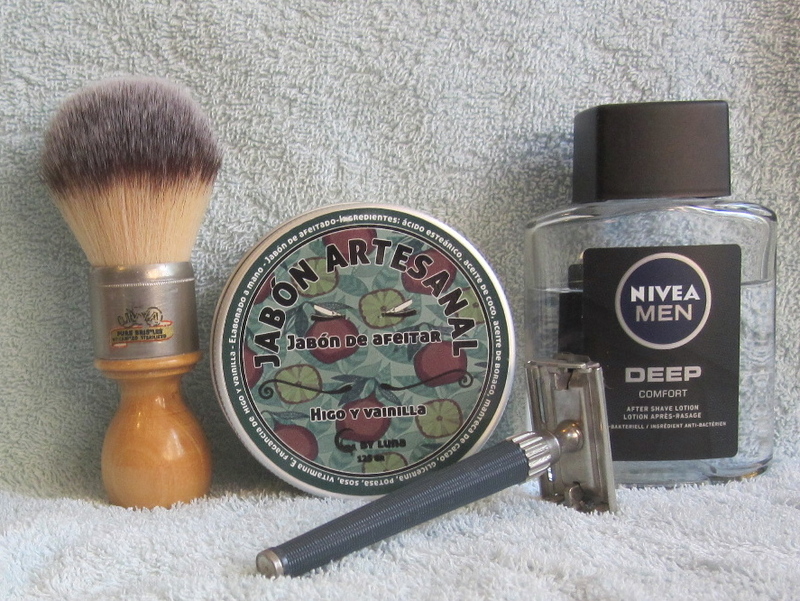 An evening when a great shave was just what was needed! 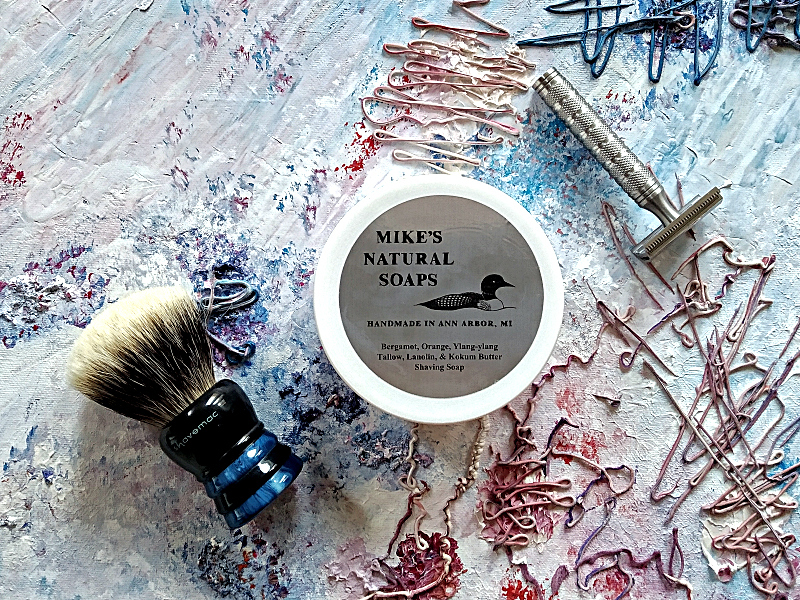 A thoroughly enjoyable shave with things just clicking. I had a reasonable amount of growth having not shaved since Saturday so I took my time preparing. A good amount of hot water then a good scrub with the Nivea face wash. Rubbing in the Proraso pre shave cream I could feel my stubble softening. A great start. Going with a barber shop theme I went with the OSP cream which whipped up to a lather in seconds. It’s an enjoyable scent but as to my barber shop it has to be Arko. However the OSP cream gives a lovely creamy lather which gives good cushion and glide. A decent scent but nothing overpowering or offensive. My first 2 passes were incident free with there being very little blade feel. I’m unsure if the blade has sharpened or dulled slightly, but either way it was a different shave to last week when I used the same weapons of choice. Going against the grain I had a couple of weepers on my chin but that was totally down to my technique, when I didn’t quite tighten my skin enough. It was nothing major and they disappeared when I rinsed with cold water. Rinsing off then washing my face with the excess lather I could feel it was a BBS result. On with the Thayers then a few seconds later on with the Epsilon Blue. No dramas, no sting, just fresh and cool. I’d say this was an 8 out of 10 shave. You are right, the term "aggressive" is not helpful, especially to newbies like myself. "Efficient" is a much more user friendly term. 'Efficient' or 'assertive' - better terms - I agree - 'aggressive' just puts people off - for no readily apparent reason. I.
I had a Lovely Late Evening Shave Tonight with My Kastor & Co Solingen Swedish Steel Full Hollow 15/16th ..Lovely Keen & Comfortable Edge on this SR .She Sports a Surgical Black Arkansas 20 K Edge..Some Darn Shaver this Nordic Steel Solingen Blades..Belter of a Shaver this SR...One Multi Directional Pass & Job Done..
SOTD : 16th April 2019. Prep: Hot shower:/ L'OREAL ~ Mountain Water Shower Gel. Pears ~ Transparent Lemon Flower Soap. 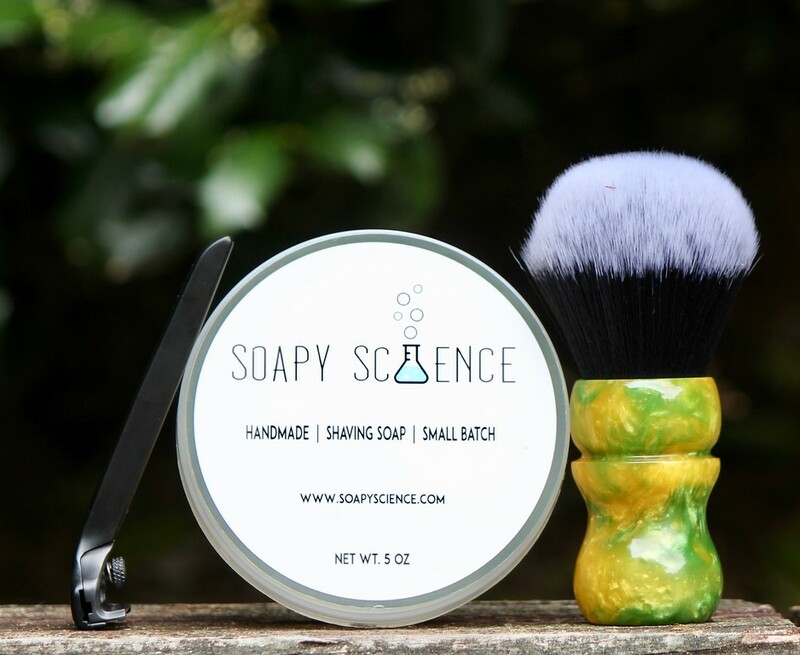 Soap : Scottish Fine Shaving Soap. Cold Water Face Rinse./Homemade menthol crystals +Eucalyptus peppermint,+ Tea Tree Oil Witch Hazel Mixture./ Old Spice ~ Classic ASL. Creightons ~ Sensitive Post Shave Balm. A cold water shave is a wonderful way to get the face sensors woken up first thing in the morning! Since the return of the Parker 94R i've been adding it to my razor rotation this hefty little indian princess is becoming a regular favourite of mine,paired up with the bolzano S.I. on it's third use was wonderfully smooth efficient duo mowing through my stubble effortlessly with great audio feedback from the 94R between each pass. A wonderfully smooth cold water 3 pass + pick ups BBS shave with no errors to report. Finishing to the shave off with a generous dollop of Creightons ~ Sensitive Post Shave Balm. If I did it again I would add half the amount and go from there. I just add a few drops to bowl during mixing. Mix of fragrances. Have a great day people.....P.
Jabones by Luna “Higo y Vainilla" shaving soap. 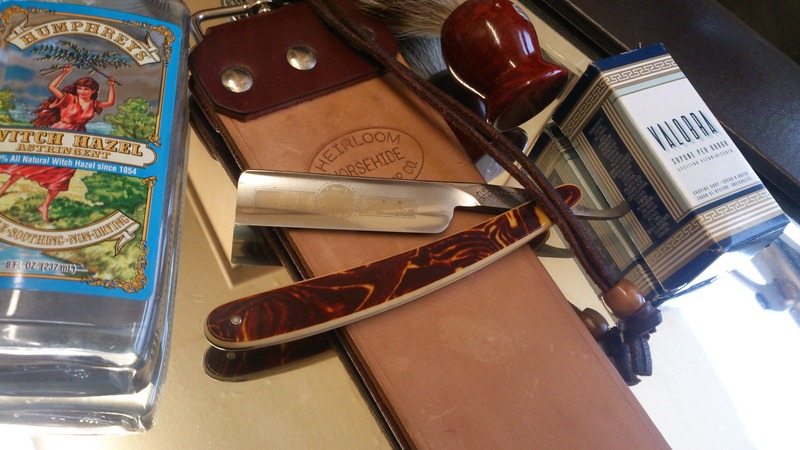 Very pleasant, smooth shave, this morning, using the Merkur Progress and a Feather. The Pannacrema shaving soap is really a magnificent addition to any shave, the smell is divine and the lather is tops. A close result achieved in two easy passes. 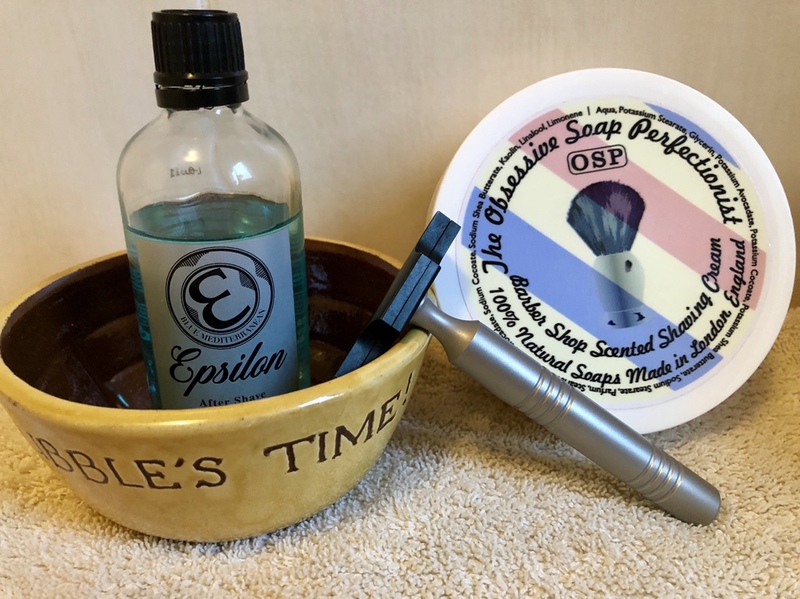 Post: Cold water, Pitralon Classic, followed by Isle of Skye Soap Co - Cedarwood and Sage shave balm. First time I have used the Feather with the Pils; usually I find a Feather a little 'scrapy' in the first few shaves, with the Pils I did not feel the Feather at all. A decent 2 pass DFS shave. I am happy with the Pils, however, I am not convinced that I am shaving with the optimal angle consistently. I seldom use the Old Type but it's a very nice razor, one that I found to have a little too much bite to begin with but with improving technique it's actually very mild, but just efficient enough.